Florida Barter is designed to provide service for businesses in the Tampa Bay and Orlando areas. Barter is exactly what it sounds like – a bartering marketplace. It allows for businesses to trade services for “Barter Dollars” which can then be used to buy services from other businesses in the marketplace and businesses worldwide that are members of the Barter system via membership in the International Reciprocal Trade Association (IRTA). Florida Barter Information for Online Presence Manager, Inc. Complete the form below for an exclusive invitation to Florida Barter where you can earn barter dollars in exchange for products or services that your business offers. You can then redeem your Florida Barter dollars within the barter community. Florida Barter Invitation Request - Get $100 in Barter Dollars FREE! How Does Florida Barter Work? Florida Barter allows business owners in Tampa and Orlando, Florida to list their business in the barter directory. Once accepted into the directory, business owners can use barter dollars to purchase products and services from other Tampa & Orlando based businesses that are listed in Florida Barter. What are Florida Barter Dollars? Barter Dollars are equivalent to real dollars but can only be used within the Florida Barter network. How Do You Spend Florida Barter Dollars? Example: A barter member purchases $125 Barter Dollars of products or services from you. You can then turn around and use that $125 in barter dollars towards any product or service listed in the Florida Barter member directory. You can also choose to save your barter dollars for larger purchases. After joining my first Chamber of Commerce, I went to one of the afternoon business luncheons (most chambers offer these). This particular get together was at a local place, Finz, in Downtown Palm Harbor. I quickly found myself in a conversation about everything business with Peter from the Suncoast Indoor Billboard Network. Later that night when going over notes from the chamber meeting, I visited Peter’s website and noticed the Florida Barter logo. Out of curiosity, I clicked the logo and started reviewing the Florida Barter website. By the next afternoon, Online Presence Manager, Inc. was a proud Florida Barter member. Within 24-hours of becoming a Florida Barter member, I had already received my first order for services from another business owner. Orlando Flying Window Tinting became my first official Florida Barter customer. The truth is that when Steven, the owner of Flying Window Tinting in Orlando, contacted me about becoming an Online Presence Management customer, I barely knew how Florida Barter worked, but thanks to Steven giving me a crash course, I was ready to dive into Florida Barter head first! I’m happy to say that since then, I have quickly learned how to leverage Florida Barter to my business’s advantage. I’m also happy to say that since hiring me as his Online Presence Manager, Steven’s business enjoys first page Google ranking for all of his keywords. It seems as if there’s an endless list of products and services available through Florida Barter. They even have a handy app which makes looking for businesses in Florida Barter, a breeze. Even though I’ve only been a Florida Barter member for a short period of time, I’ve had a chance to redeem barter dollars for some pretty cool stuff. Curious what barter products and services are on my wishlist? They include awesome travel adventures like this killer trip to Montana that I’ve been eyeballing 👀. I currently offer two services on Florida Barter and I can customize both of these services to meet the needs of any business. Already a Florida Barter Member? If you’re an existing Florida Barter member and would like to hire me for either online presence management or web design, please click here to schedule a consultation. Here’s a list of barter products and services that I’m currently looking to purchase using my barter dollars. Are you currently listed in Florida Barter and offer one of the services in my “Barter Wish List“? Click the call button below to give me a heads up so that I can contact you! Does it cost anything to become a Florida Barter member? No. Becoming a member is free. Is there an additional charge for being listed in the Barter directory? 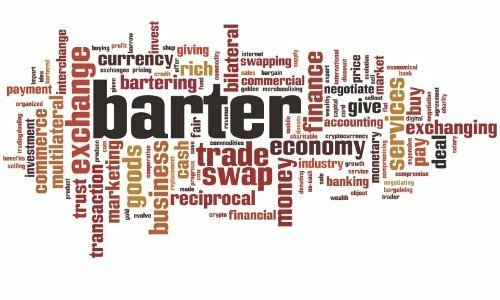 Are there any fees for being a Barter member? No. However, there are fees associated with the barter dollars you use. For example: If you spend $100 barter dollars on massage services, there is a % per dollar fee. At the end of each month, you receive a report that includes your purchases and balance due. Balance due can be paid online or through the Florida Barter app. Do any of the businesses listed require cash payment? Each business is different. For example, all of the services I provide can be purchased using barter dollars. However, restaurants require that alcohol, tax, and tip are paid in cash. Debit and Credit Card are not accepted. If I live in Tampa can I use barter dollars in Orlando? Yes. Barter dollars can be redeemed with members listed nationally and internationally. If I live in Orlando can I use barter dollars in Tampa? Can I use barter dollars on family members? Yes. My daughter recently enjoyed dinner in Orlando for her birthday at A-AKI Sushi & Steakhouse and LOVED IT! This web site is not endorsed by, directly affiliated with, maintained, authorized, or sponsored by Florida Barter, or any Barter service. All product and company names are the registered trademarks of their original owners. The use of any trade name or trademark is for identification and reference purposes only and does not imply any association with the trademark holder of their product brand.